Dr. Freemon is an American Board of Internal Medicine certified physician with over 35 years of experience. A graduate of the University of Tennessee at Knoxville, this Lawrenceburg, Tennessee, native went on to complete medical school at the University of Tennessee Medical Center in Memphis. Dr. Freemon currently acts as a Clinical Professor of Medicine at the Quillen College of Medicine at ETSU. Having held numerous committee memberships and appointments throughout his practicing tenure including Chief of Staff for both locally the Johnson City Medical Center and Northside Hospital, he presently holds the Chairman position for several committees throughout the area. 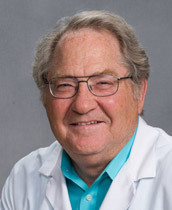 Dr. Freemon has been a part of the Johnson City Internal Medicine team since 1976.